Most people are dealing with regret from some season in their past. There is no such thing as a life without any regrets. We all have regrets. They may be small or large, recent or rooted in a long ago incident. Perhaps what most of us also have in common is wishing we didn't have them, wishing we hadn't made that choice, taken or not taken that life-changing action, or behaved inappropriately. Sometimes our regrets are words that we wish we hadn't said, or maybe something we wish we had said before it was too late. Regrets create a twinge in our conscience and may even be mired in guilt. But regrets are not always bad. Perhaps we should not wish them away so quickly. Regret, according to Neal Roese, Ph.D., author of If Only: How to Turn Regret Into Opportunity, is an essential mental skill. "Regret is useful," Roese writes, "for signaling to people that it's time to change their strategy." When we allow our regretted choices to advise us and transform our behavior, they can be seen not only in the context of what is lost, but also what could be gained, and can serve as motivation to move forward. Living with nagging regret as our daily companion, however, can become a burden that restricts our future and corrodes our self-esteem and emotional well-being. Even small regrets diminish our contentment and keep us from living in the present. In the case of crippling regrets, the results can be devastating. Psychologists have linked severe regret with a wide variety of mental and physical disorders, including sleep disorders, anxiety, depression, migraines, and skin conditions. Dealing with Regret Key #1: Clearly examine the regret. Step back from the feelings and determine why you did what you did. How can you learn from your error? Was there even an error to begin with? Did your action or non-action cause real harm to yourself or others? Is your dwelling on regret causing more harm than the action/inaction did? If you regret a path not chosen, imagine how your life might be if you had chosen that path. Now, think of all the joys in your current life that you wouldn't have if you had taken the other path. A woman unhappy in her marriage may have regrets about the person she married, however, by examining this decision, she realizes that she would not have the children she loves and adores. Fully experiencing the feelings of regret will help you move forward. Tell the truth about your powerlessness to change the past, and empower yourself in the present by making peace with the regret. Write it down, burn the paper or bury it in the earth, and then forget about it. 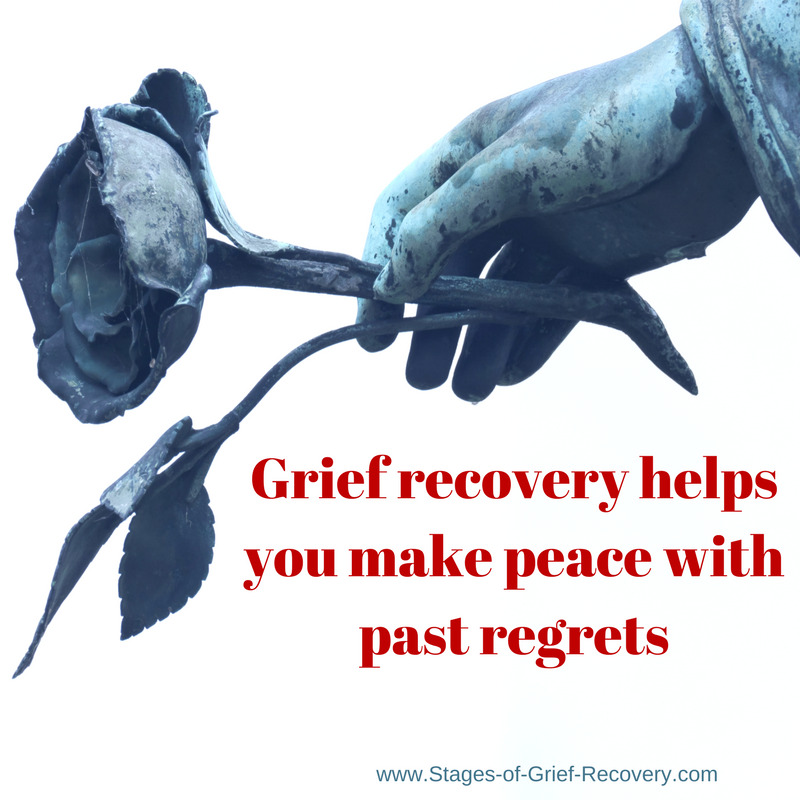 Dealing with regrets is an important part of grief recovery. Guilt is one of the components of the Seven Stages of Grief model because when someone dies, it is not unusual for there to be regrets. Recognize what you have learned and let it be final. Anything you have done is forgivable. Remember you're not alone; no one gets through life without any mistakes! If the circumstances warrant it, make an effective apology, ask for forgiveness and make amends. Take responsibility for anything you could have handled better. If it is not possible to make amends to a living person, you may want to share your confession with a counselor, clergy or other trusted person. If you can, and it is appropriate, reverse the regretted behavior. No matter what your age, go back to school or pick up that trumpet you gave up after high school. Plan that trip to Australia. Say "I love you" to your sibling. Start exercising today with a walk around the block. There are many things that it is not too late to change. Henry David Thoreau wrote, "Make the most of your regrets... To regret deeply is to live afresh." No matter how many years later, learn the lessons of your regrets, redirect your course or not -- and open the door to a fresh start. 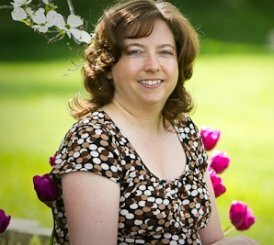 Grief Recovery counseling can help you deal with regrets whether they are from the loss of a loved one, a relationship breakup or mistakes you have made. Contact Debbra today for a free consultation.